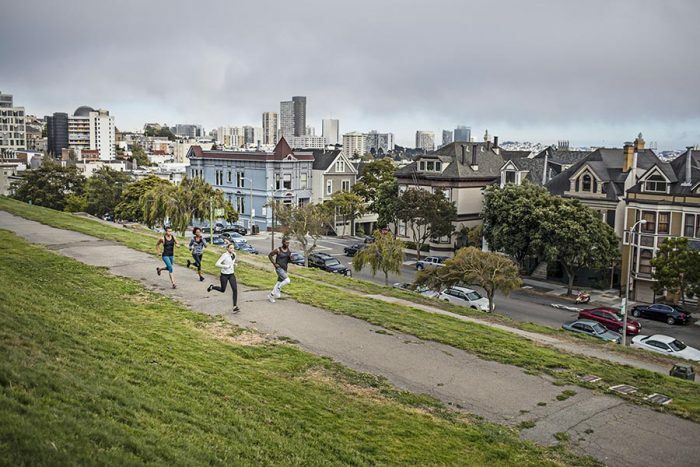 San Francisco tops a list of the nation’s healthiest cities for the second year in a row. The city ranks. No. 1 in the country for both healthy eating habits and green spaces. Fremont, San Jose, and Oakland all rank in the top 25 for health-consciousness in 2018. Access to plenty of green spaces and good eating habits have helped propel San Francisco to the top of a list of the healthiest American cities for the second straight year. An annual study by WalletHub ranks nearly 175 U.S. cities for healthiness on a scale of 100 based on four major criteria: health care, food, fitness, and green space. Individual criteria within those categories include factors such as number and cost of health care providers, residents’ fruit and vegetable consumptions, number of farmers’ markets and healthy restaurants per capita, percentage of residents who are physically active, and amount and quality of parks. San Francisco tops the list of America’s healthiest cities for 2018, with an overall score of 72.81. The City by the Bay upped its score this year, though it also ranked No. 1 in WalletHub’s 2017 analysis of the most health-conscious U.S. communities, notching a 68.06. San Francisco earned the overall top ranking in the study’s food category. The city ranks No. 3 in the U.S. for the fewest number of adults who do not eat enough fruits and vegetables and places in the top five for the highest number of healthy restaurants per capita. The City by the Bay also ranks No. 1 in America for green spaces. San Francisco has the most walking trails per capita and ties Washington, D.C. for the most running trails. According to San Francisco’s Recreation and Parks department, the city operates more than 220 parks. Last summer, a report from nonprofit organization Trust For Public Land awarded San Francisco a perfect score of 100 for access to parks, as it is is the only U.S. city where every resident can walk to a green space in 10 minutes. Three other Bay Area cities count among the nation’s 25 most health-conscious: Fremont (No. 15), San Jose (No. 20), and Oakland (No. 25). All three rank in the top five nationwide for fruit and vegetable consumption, while Fremont also ranks in the top five for the highest percentage of physically active adults.